Haider Ackermann - This white cotton-blend jacket from Haider Ackermann is typical of the label's muted colour palettes and sophisticated tailoring. 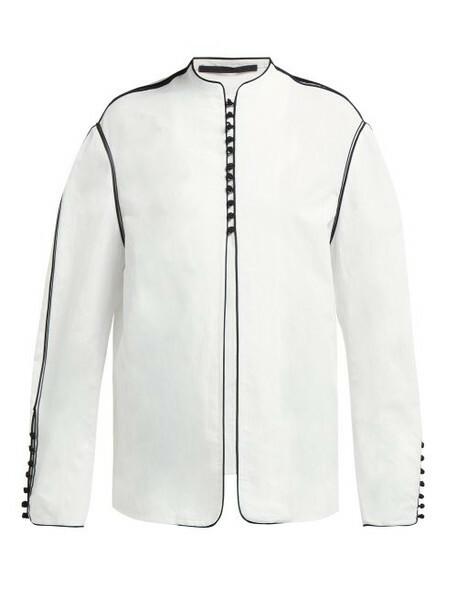 It is cut to a relaxed silhouette with a mandarin collar and black soutache braided accents and buttons. Wear it with velvet trim trousers for an elegant dinner look.